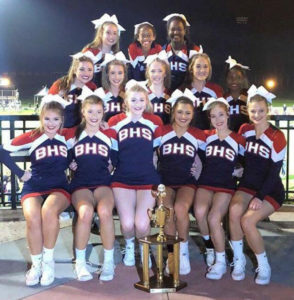 “We were honestly just excited to have the opportunity to attend nationals at Disney in Orlando. But I knew this could be an experience of a lifetime for the girls. So we wanted to make sure we gave it our best and had no regrets looking back,” Howell said. “Their first performance at nationals was unreal. They have confidence and a minor fall, but they recovered quickly and finished strong,” Howell said. 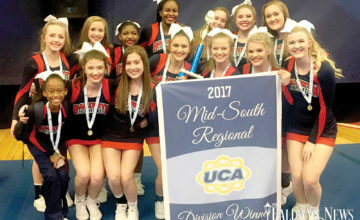 “When UCA announced that Baldwyn had advanced to the semi-finals, you would have thought we had already won the whole thing. The girls were ecstatic, and so were their fans!” Howell said. They squad only had a few hours to practice and perfect their routine in hopes of no drops this time. Adversity arose again as nerves began to clam up and stunts were dropped during practice. Howell and Assistant Coach Susanne Trollinger did what good coaches do best and had the girls take a break and focus on positive aspects of their performance and each other. “The girls truly applied our motto of ‘mind over matter’ during this performance, and it was enough to advance us into the finals already ranked 7th out of 10,” Howell said. Before their finals performance, the coaches had the chance to review their scores and videos for any point deduction appeals. Howell took the time to appeal two points that was not consistently noted in the first round. Baldwyn received their two point addition and prepared for their last performance as squad for 2018. “They left everything they had on the mat that day. 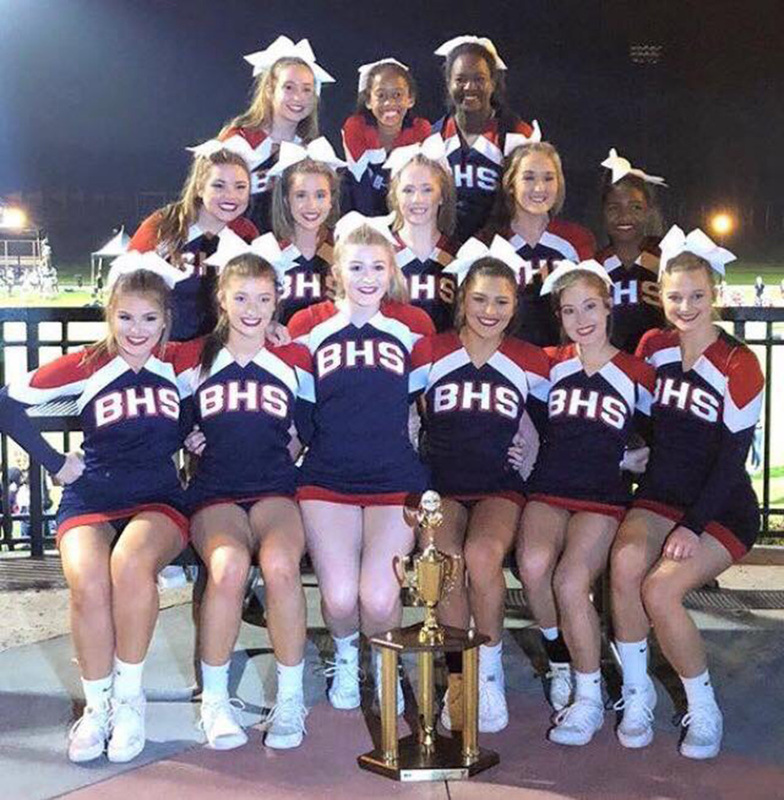 The energy was insane and to see their faces that they had finally hit a perfect routine with zero deductions and zero penalties was priceless,” Howell said. “We are so grateful to our administration, parents, families, community, sponsors and students for the support and encouragement throughout this journey. We would not have been as mentally and physically strong enough to perform our best without each of you,” Howell said.